On 26 October 2001 the Committee of Inquiry into the dispute involving Dr. Nancy Olivieri, the Hospital for Sick Children, the University of Toronto, and Apotex Inc. issued their landmark report (compulsory reading for all those who pretend to be concerned about academic fraud). "The Hospital and the University should have defended vigorously the right of clinical researchers to disclose risks to research subjects and patients. They had a responsibility to protect the public interest and academic freedom from inappropriate actions by Apotex, but they did not do so". Contracts involving industrial sponsorship of clinical research should never prevent researchers from informing patients or the scientific community of any risks. All universities and affiliated teaching hospitals should have in place policies and practices that are effective in protecting academic freedom, as well as principles of research and clinical ethics. Health Canada should review the current regulation of health research and make appropriate changes to protect the public interest and the rights of patients who volunteer to be subjects of research. The University and the Hospital should provide redress to Dr. Olivieri for the unfair treatment she has received. The public interest is not served by allowing academic institutions to investigate and exonerate themselves with impunity. A further article by Karen Birmingham (2000. Nature Medicine 6, 609-610) summarized the 9 page Report of a panel investigating Gideon Koren signed by the University of Toronto President, Robert Prichard. "Being an accomplished medical researcher and teacher is sufficient to excuse behavior that includes destroying institutional equipment, harassing colleagues and lying to them and to superiors - at least at the University of Toronto and at the Hospital for Sick Children in Toronto." 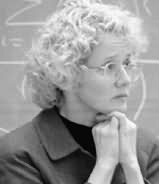 21 years and 12 days ago Ellen Larsen made first step in her fraud, and then she terminated my PhD program, removed me from the laboratory and stole my research and discoveries. The fraud is continuing. My work remains stolen. Ellen Larsen is continuing publishing stolen ideas and discoveries as her own. Canadian academia is continuing outrage and provocation. While it is true that the Pyshnov case has never been managed honestly by UoT, Pyshnov is in part responsible for the evaporation of sympathy - as a result of his disgusting, bigoted racist behavior - anti-black, white supremicist, antisemitic, just DISGUSTING. "Canadian Association of University Teachers (CAUT) is not exactly what the name says. It is a communist organization seeking great university careers for those who "deserve" it only by crookery, communist demagogy and by belonging to fraudulent "disadvantaged groups", not by their intellect. they derive rights from the insane communist classification of disadvantaged: "...White women who are disadvantaged as White women with respect to White men, but advantaged as White women with respect to Black, Aboriginal, Asian and other racial minority men and women..."
Thank you for reminding me of this case. When I last looked at it, I did conclude that a very serious injustice did happen, and that if there were not such an injustice then UoT should have responded openly, properly and in detail to the accusations. I will look at the details again and write about it when I get a chance. "Pyshnov is in part responsible for the evaporation of sympathy - as a result of his disgusting, bigoted racist behavior - anti-black, white supremicist, antisemitic, just DISGUSTING. Who the hell is Larsen, how is she avoiding justice?" (or in some other words similar in meaning). Secondly, when I confronted the campus, I found out that what I wrote coming to that campus, exactly reflects the reality. There must be an end to untouchable criminals! A propos, Aubrey Blumsohn never contacted me, never helped me, and never helped Justice, by writing even a word about my case!! !